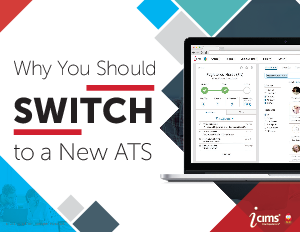 The decision to keep your current applicant tracking system (ATS for short) or switch to a new ATS, is often a difficult one to make. Switching to a new applicant tracking system can be costly and a perceivable headache to implement. However, when you find an ATS that meets your company’s unique needs while providing resources to help your company both today and tomorrow; then switching could be the best decision your company makes. The right applicant tracking system should provide solutions to your most common pain points, saving you time, money, and energy.